Demand from new buyers in the UK has been falling in the face of interest rate rises and continued Brexit uncertainty with prices flat or negative, the latest surveyor index shows. But there is still some regional variations in housing markets with Northern Ireland in particular still showing a strong residential market, according to the market report from the Royal Institution of Chartered Surveyors (RICS). In October, the fall in interest from new buyers has led to a more negative trend in house prices survey respondents are also doubtful that UK sales momentum will pick-up over the coming months. Some 10% more respondents saw a fall in prices at the headline level, the weakest reading since September 2012, and mostly stems from London and the South East, with the price balance in the South East deteriorating during October. East Anglia, the South West and the North East also saw negative price balances, but prices continue to rise in other parts of the UK, with the strongest growth in Northern Ireland and Scotland. Looking ahead, three month price expectations are also slightly negative at a national level, and the national outlook for the year ahead now broadly flat and for those looking for their first properties, the market is relatively steady price wise, the report says. 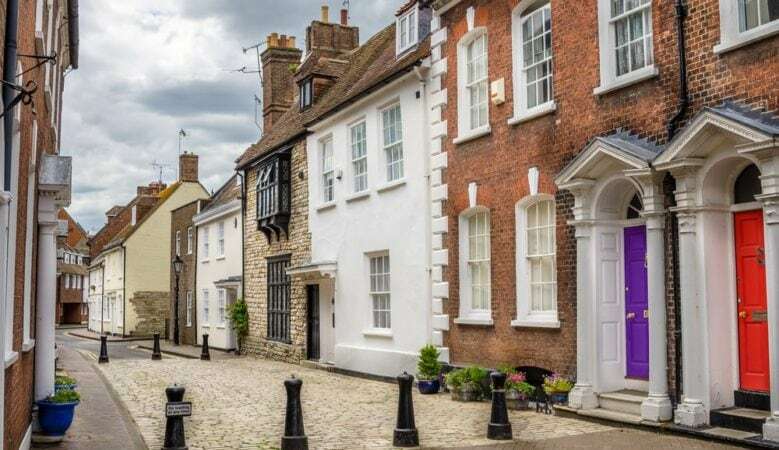 Reporting on properties listed at up to £500,000 and below, a slim majority of survey participants reported that sales prices have been at least level with ask prices. Nevertheless, a still noteworthy 34% stated sales prices were coming in up to 5% below. Homes in the highest price brackets are noticeably below asking price. RICS adds that the weaker trend in prices is being driven by the lack of demand from new buyers, which is in part a result of heightened political uncertainty, ongoing affordability pressures, a modest upward move in interest rates and a lack of fresh stock coming onto the market. In October, some 14% more respondents reported a fall in buyer interest, which is the third report in a row in which demand has deteriorated at a UK level. ‘Although the tone of much of the news surrounding the housing market remains downbeat, this continues to disproportionately reflect developments in the south and east of England with the picture remaining rather more resilient in many other parts of the country,’ said Simon Rubinsohn, RICS chief economist. ‘Uncertainty about the economic outlook on the back of the never ending Brexit negotiations appears a key drag on sentiment according to respondents to the survey,’ he pointed out. ‘Meanwhile, the announcement of the extension of Help to Buy, albeit in a narrower format, should continue to underpin the new build market in the near term. Whether it, alongside other measures recently announced including the lifting of the HRA cap, is sufficient to drive housing starts up to the Government’s 300,000 target over the coming years remains to be seen,’ he added. In terms of new instructions, and the supply pipeline, the report says that virtually all UK regions saw a further decline as average stock remains very close to an all-time low. Furthermore, there appears little chance of any meaningful turnaround, as a net balance of 30% of respondents reported the number of appraisals to be down on year on year basis. Given these conditions, RICS says it is no surprise that sales remain subdued, with the third consecutive monthly decline in transactions. In fact, sales were reported to be either flat or negative across 11of the 12 regions during October. In the lettings market, the quarterly data points to an improvement in tenant demand during the three months to October. Alongside this however, landlord instructions continued to fall, remaining negative for a tenth straight quarter, the longest negative stretch since this series was formed in 1999. On the back of this, rents are expected to rise over the coming months albeit only modestly.